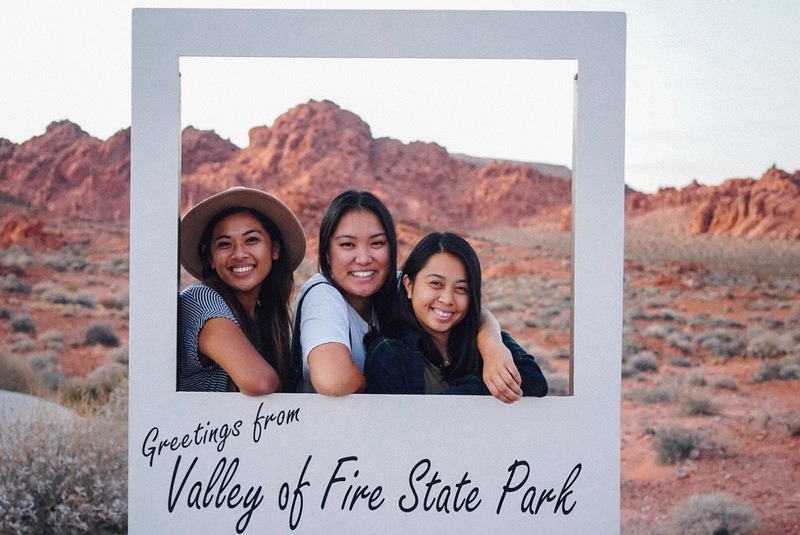 Over the weekend, my best friends and I drove to Nevada for a not-so-typical Vegas trip. 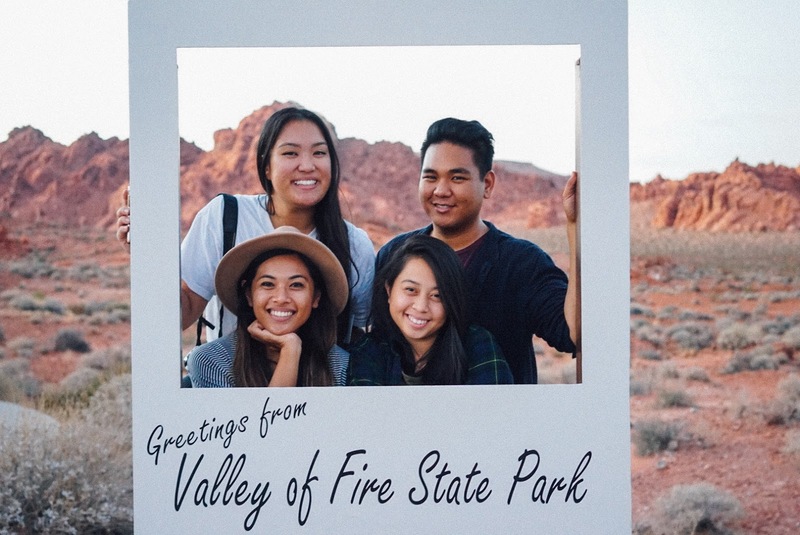 Earlier this year, I purchased tickets to the Rise Festival, a lantern lighting festival in the middle of the desert, as a birthday present for one of my best friends. 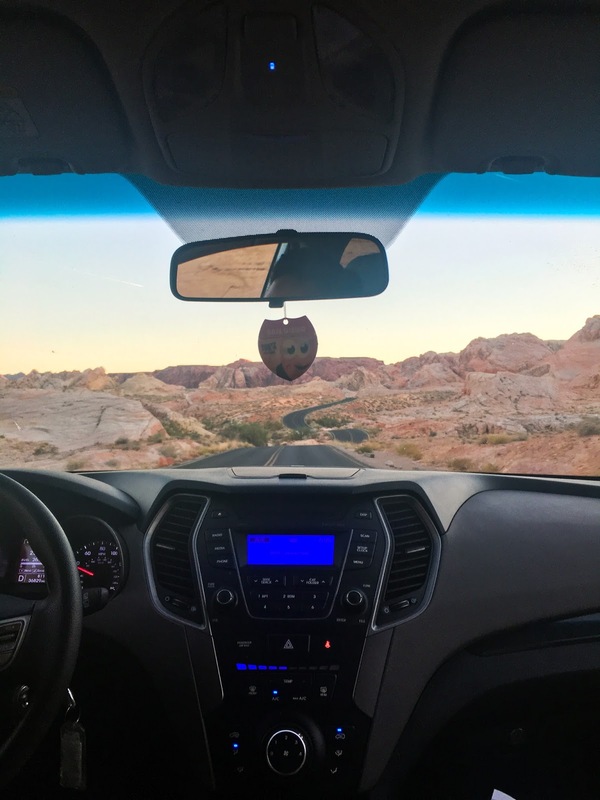 The time finally came and we decided to make a trip out of it by spending a day at the Valley of Fire State Park, just half an hour away from the festival. 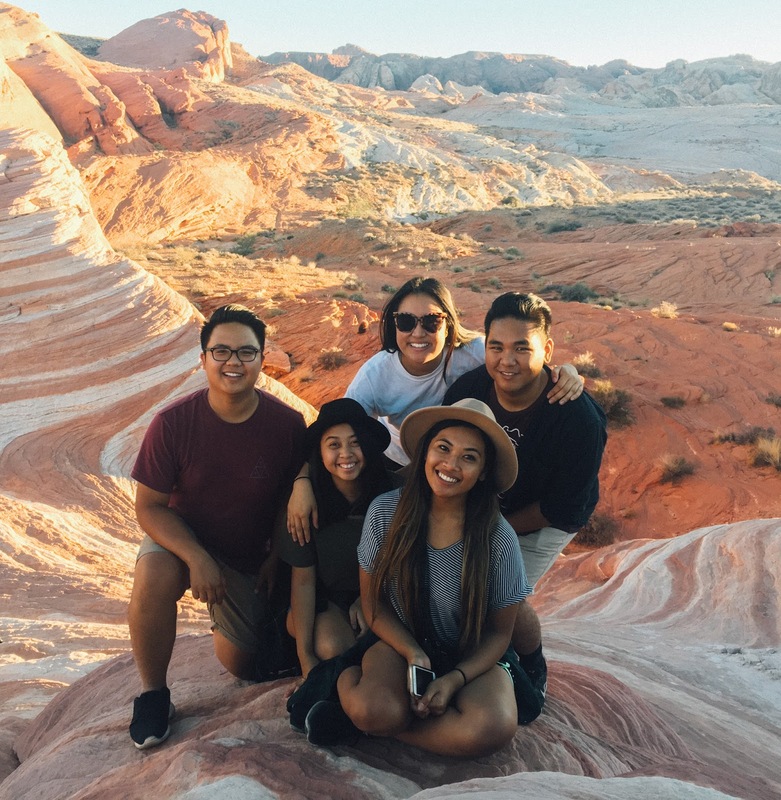 After picking up our tickets in Downtown Las Vegas, we downed some Fat Tuesdays at Caesar's Palace, and headed east towards the desert. 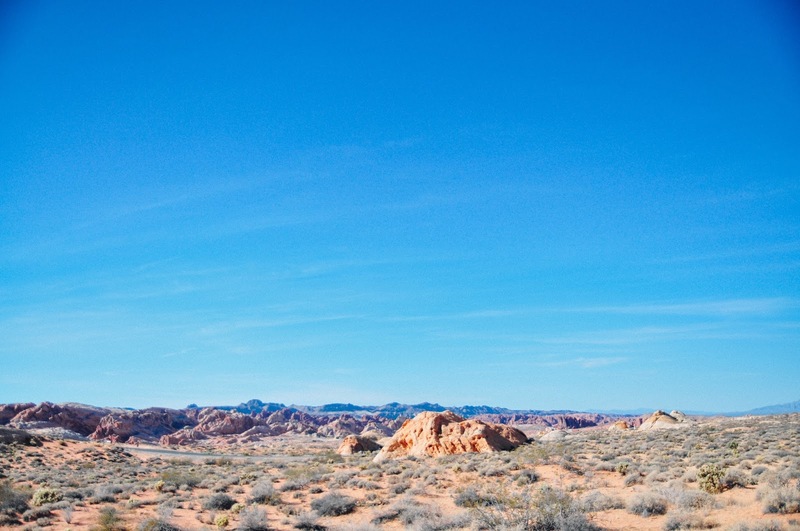 There's just something about the desert that fills my heart. 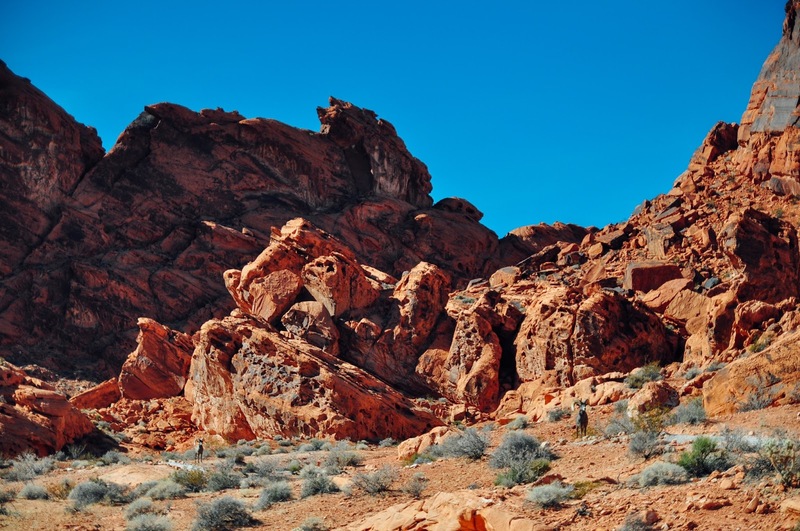 Maybe because it simulates what I would imagine being on another planet would feel like. 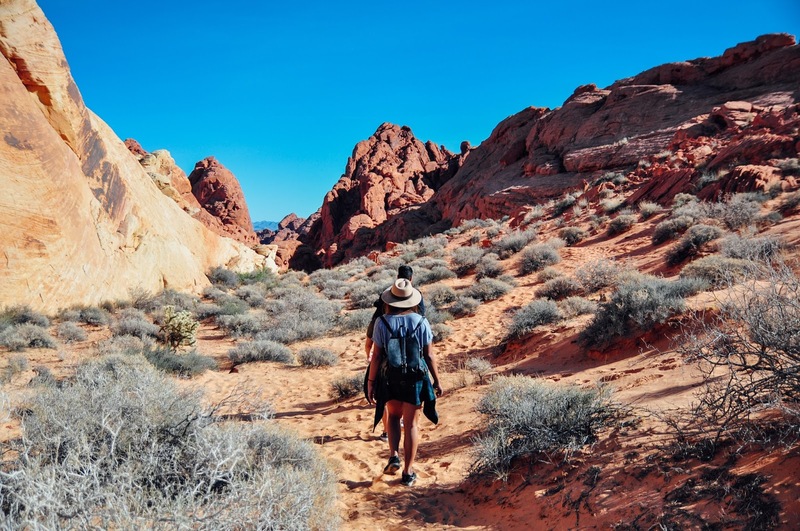 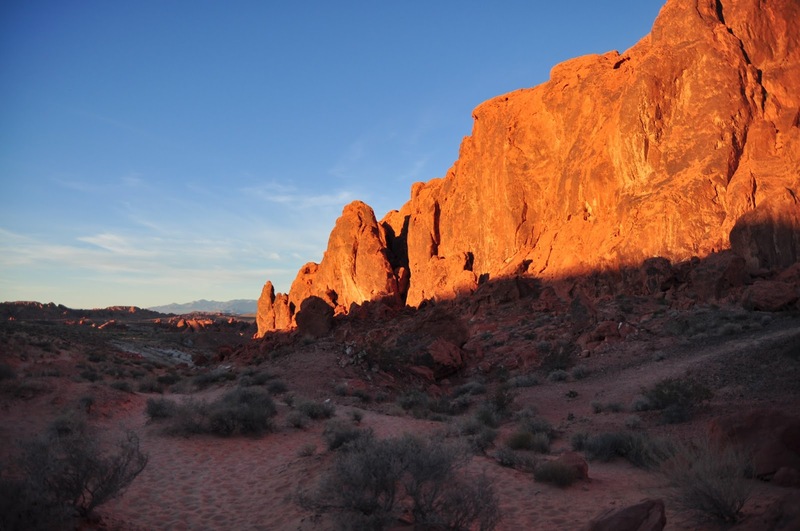 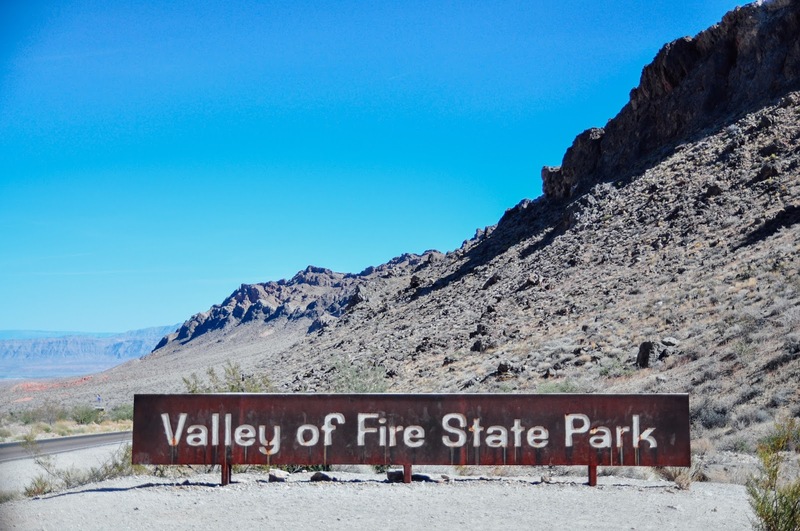 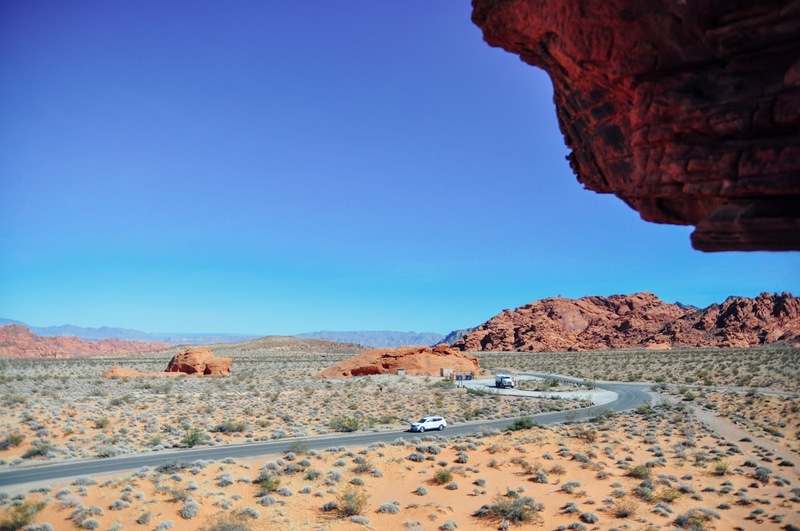 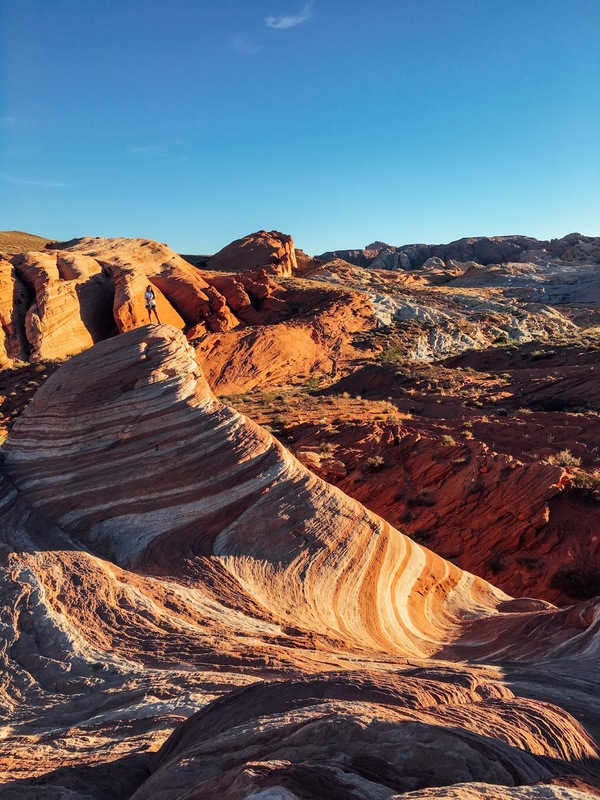 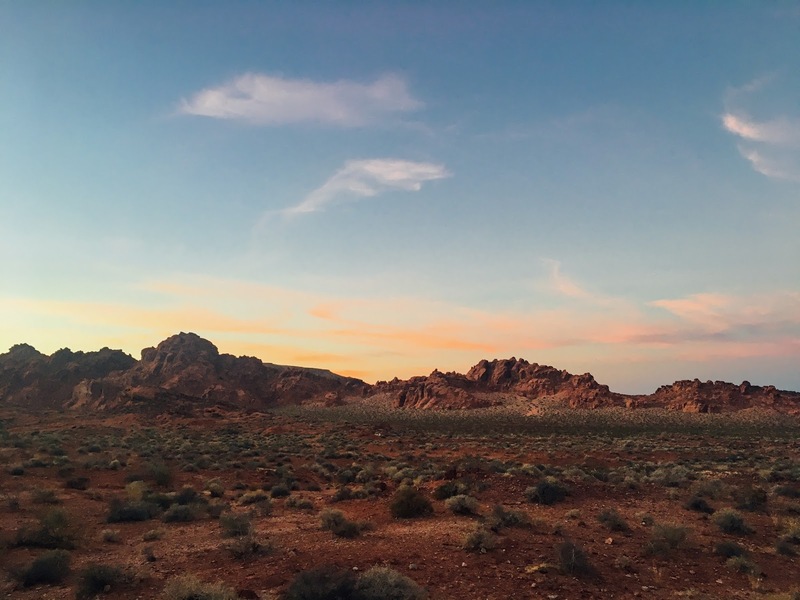 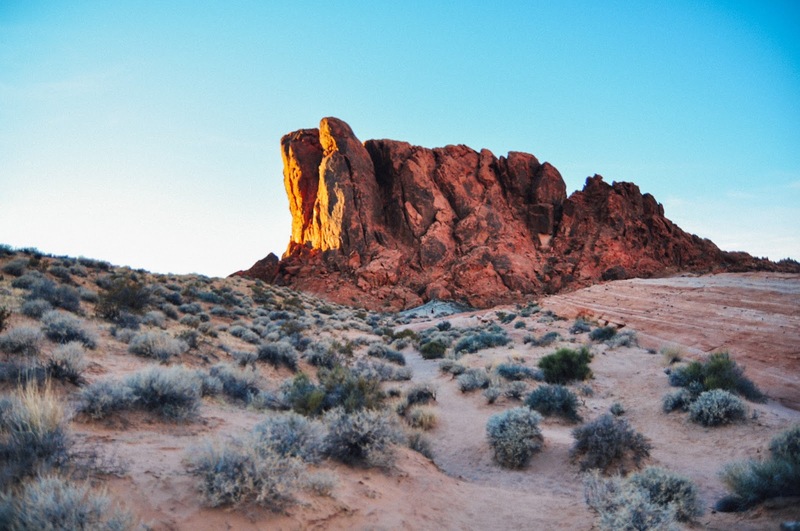 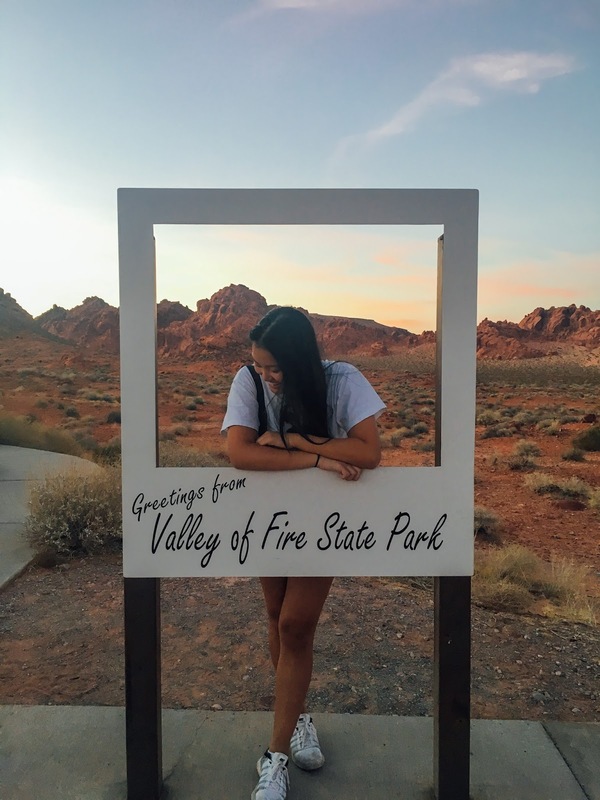 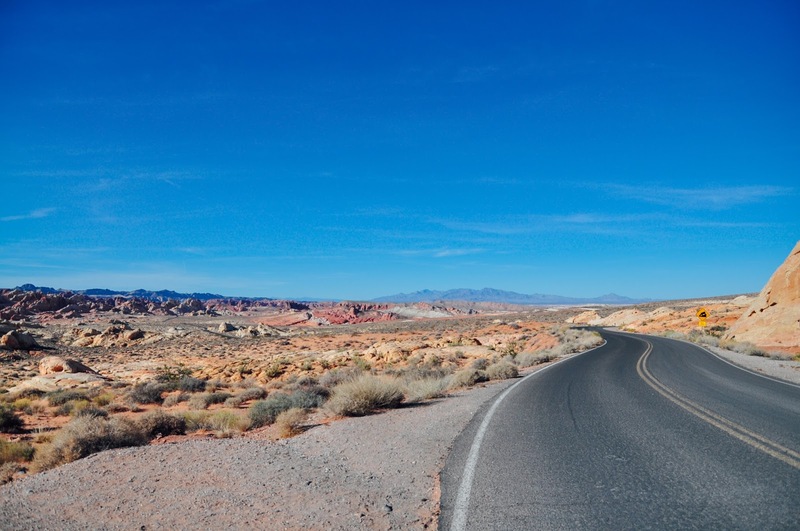 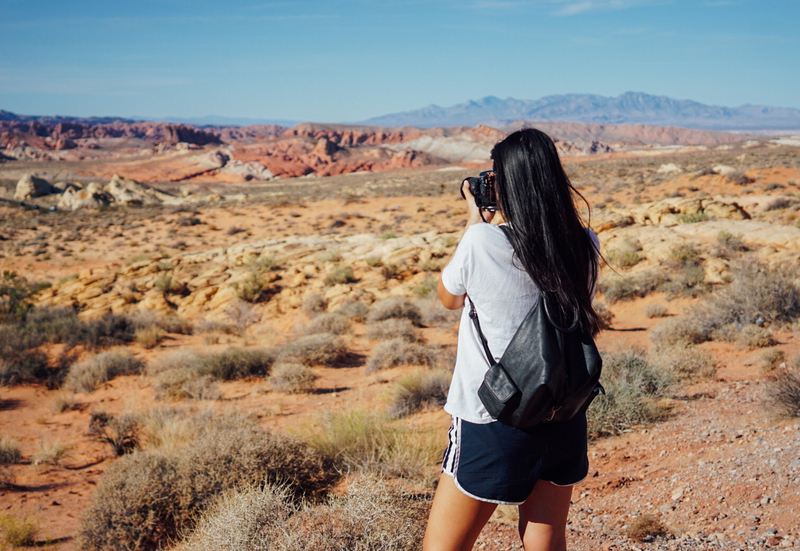 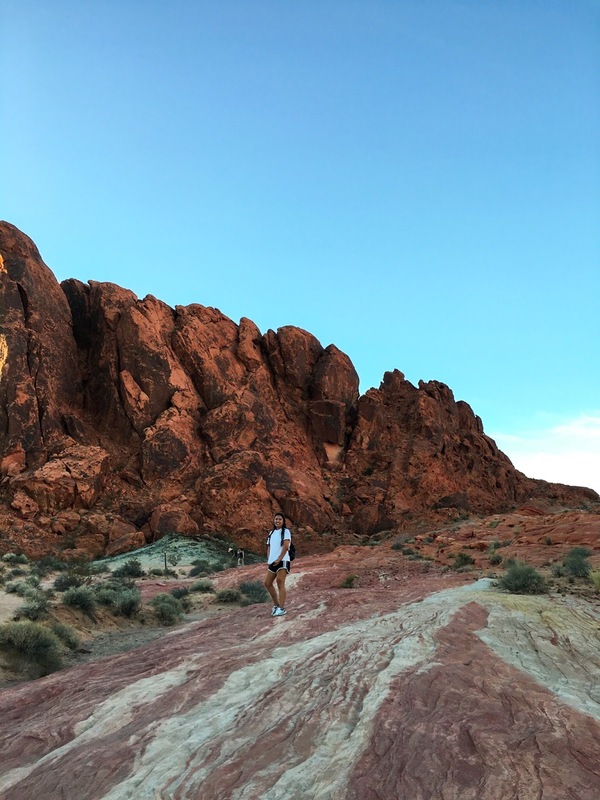 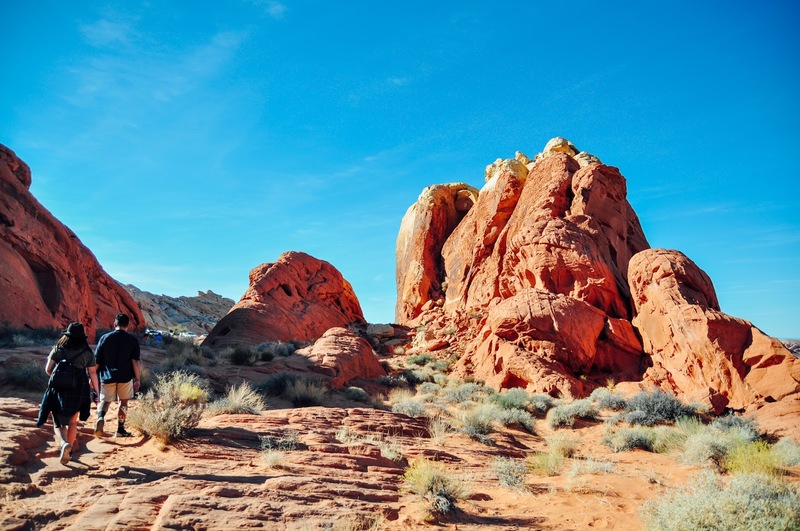 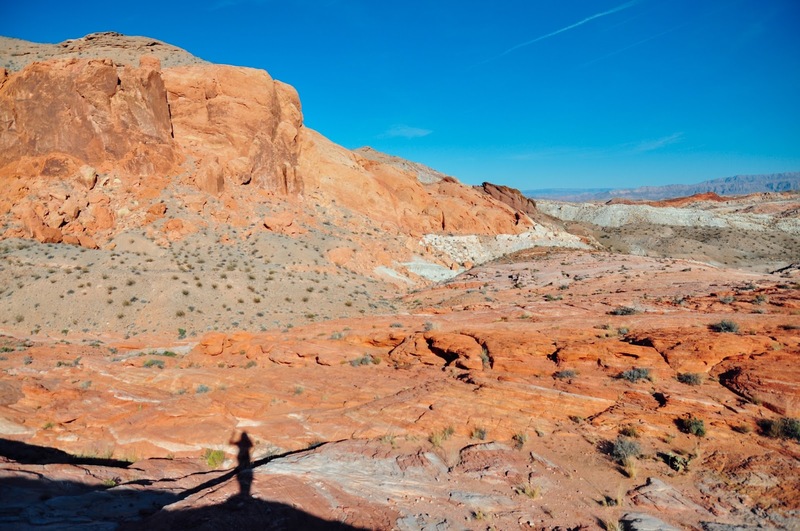 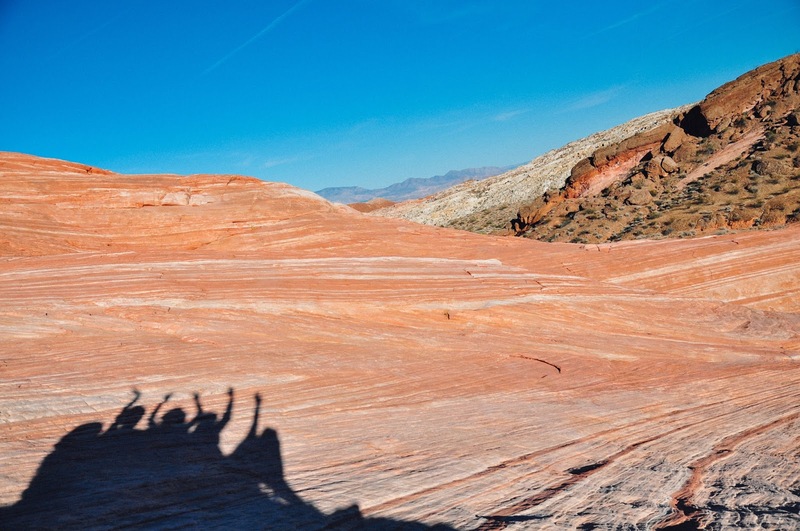 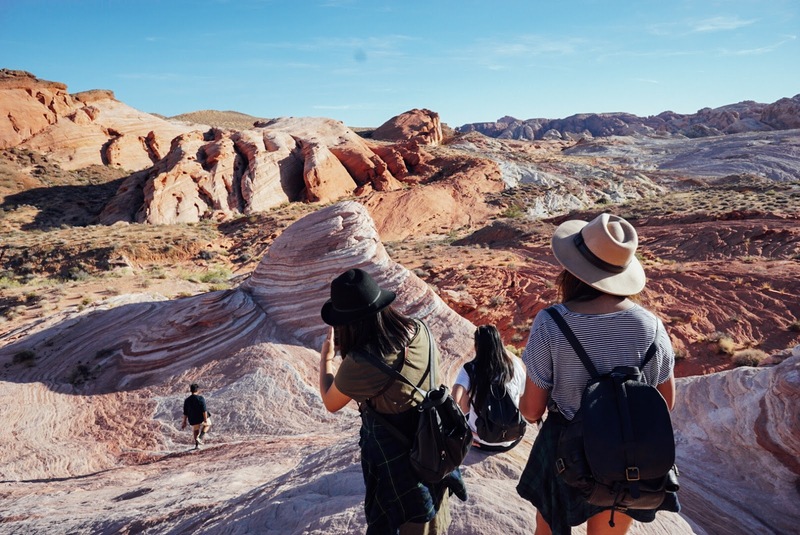 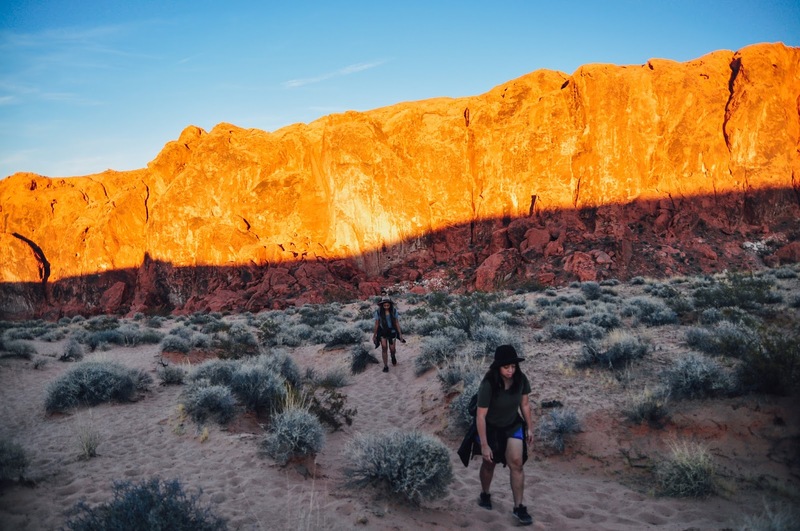 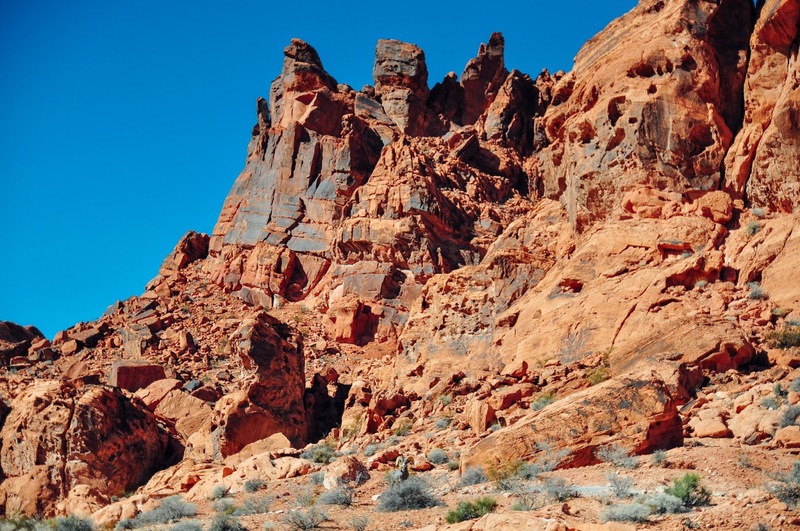 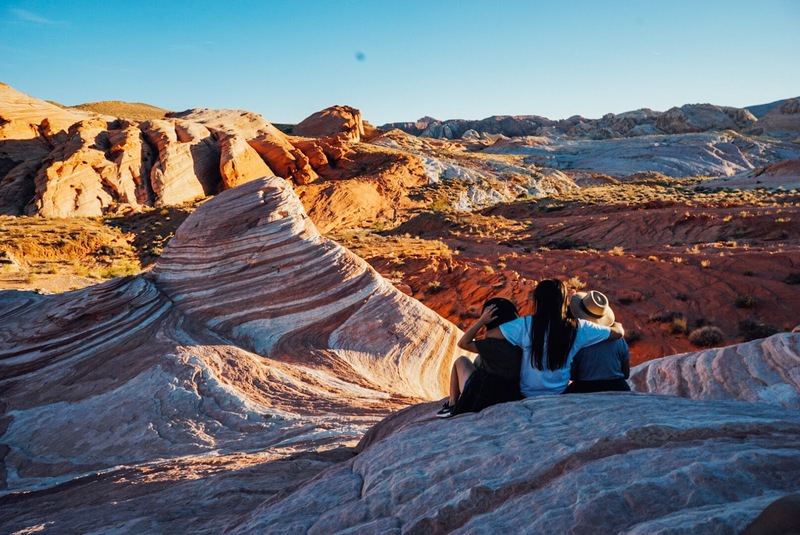 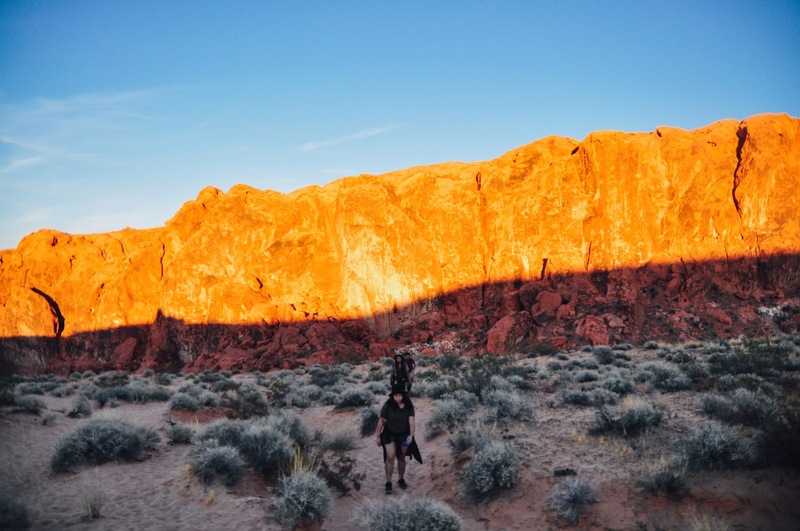 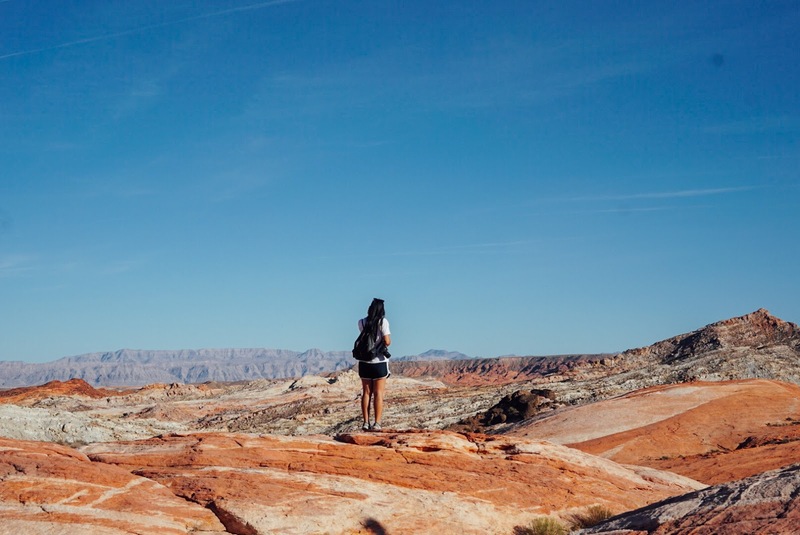 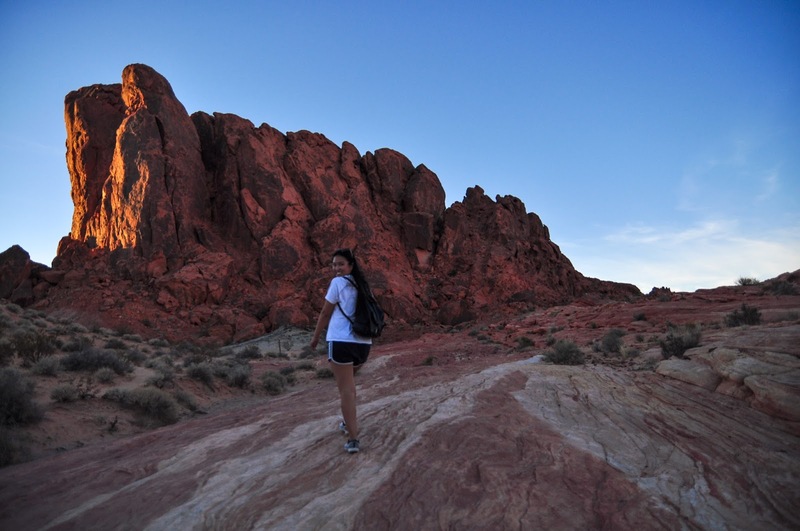 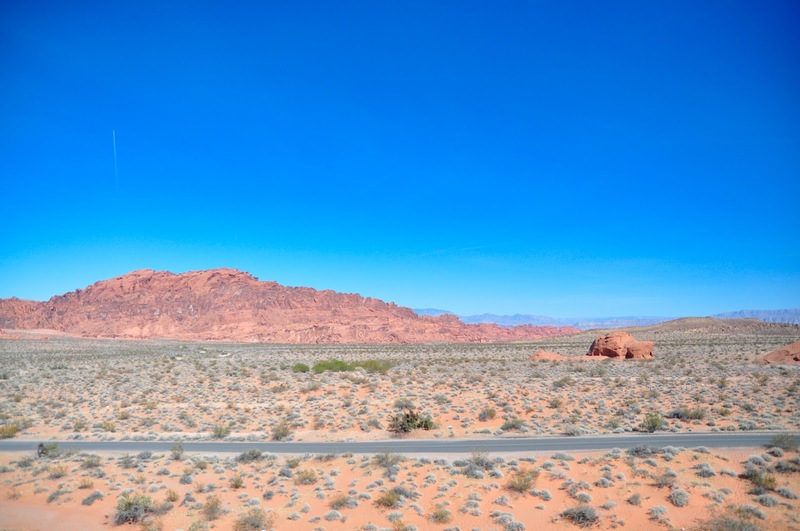 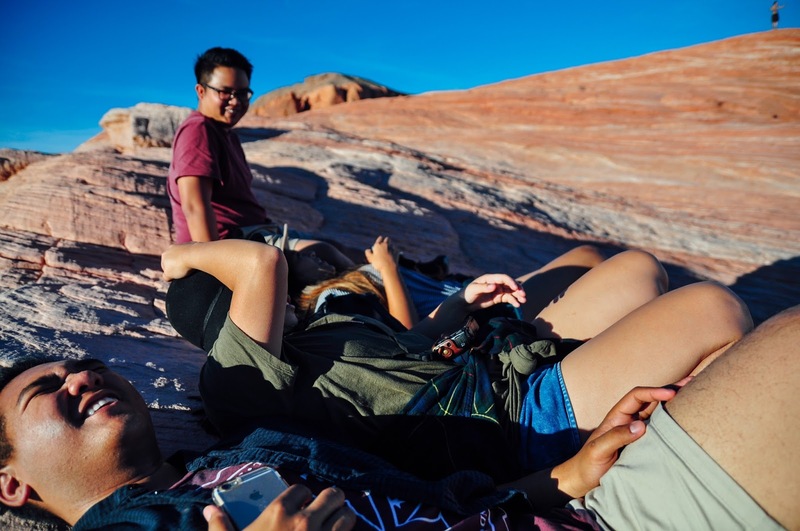 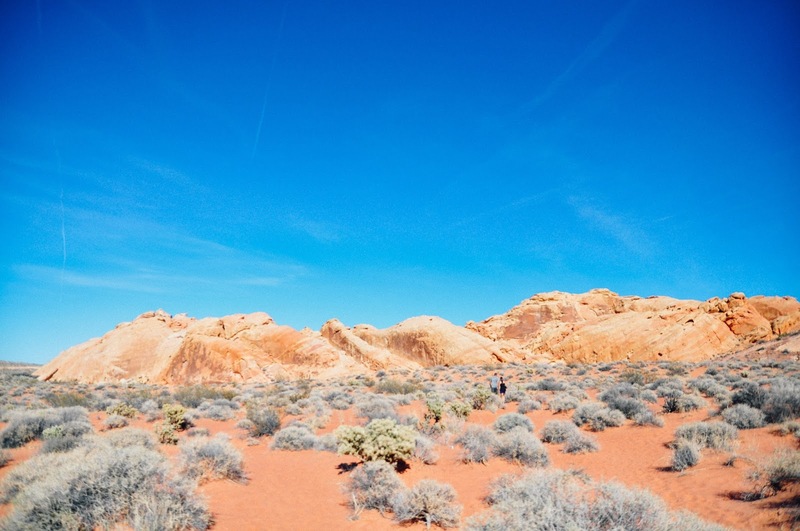 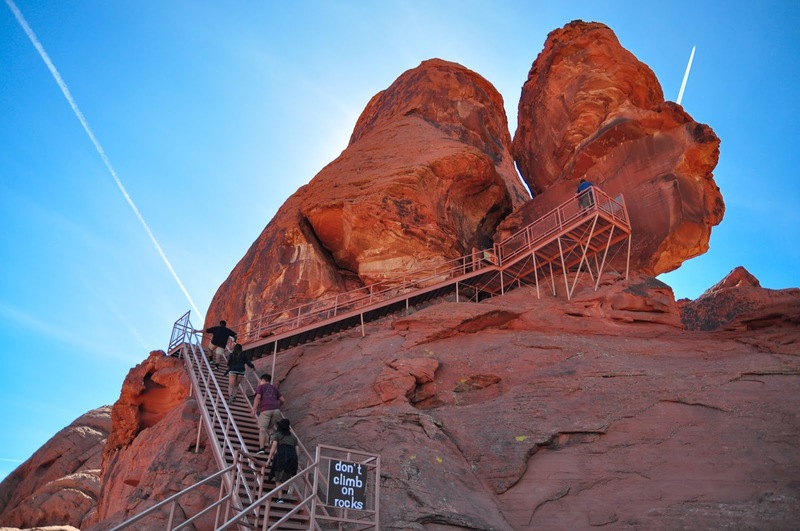 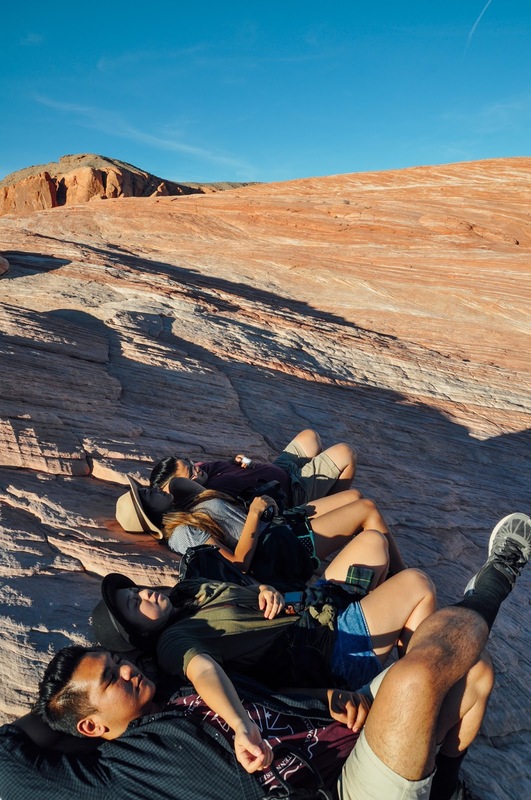 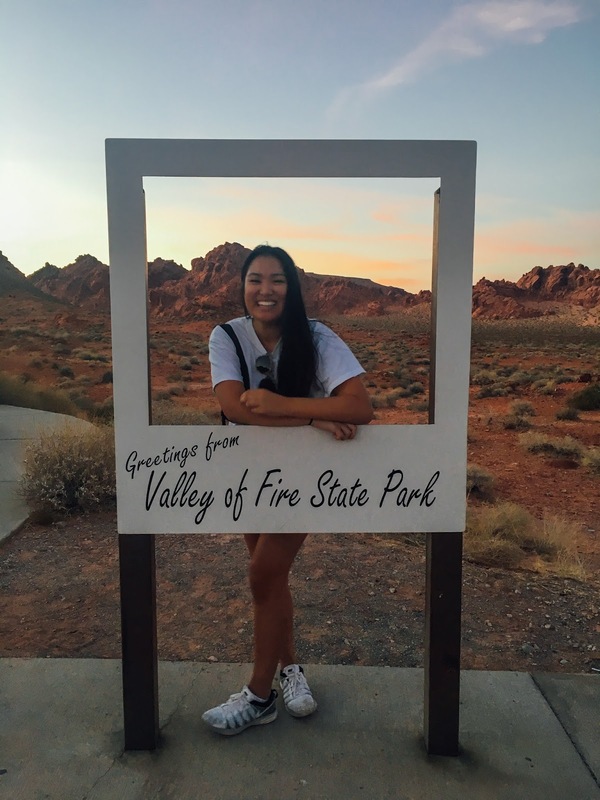 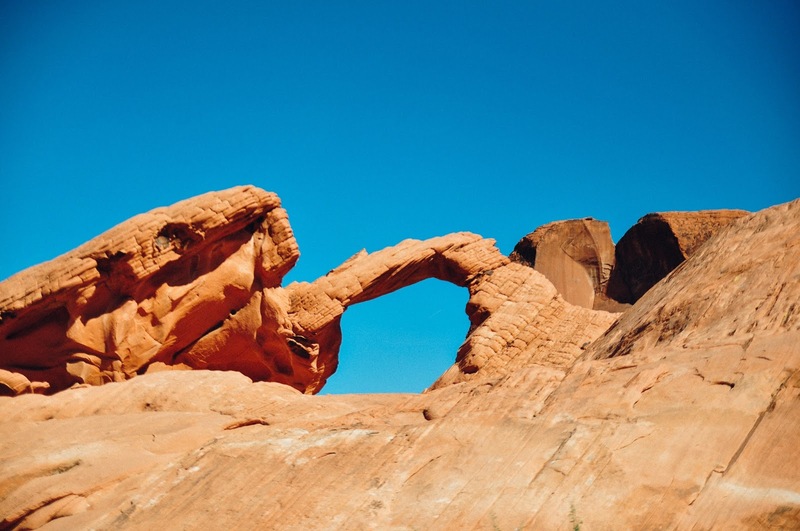 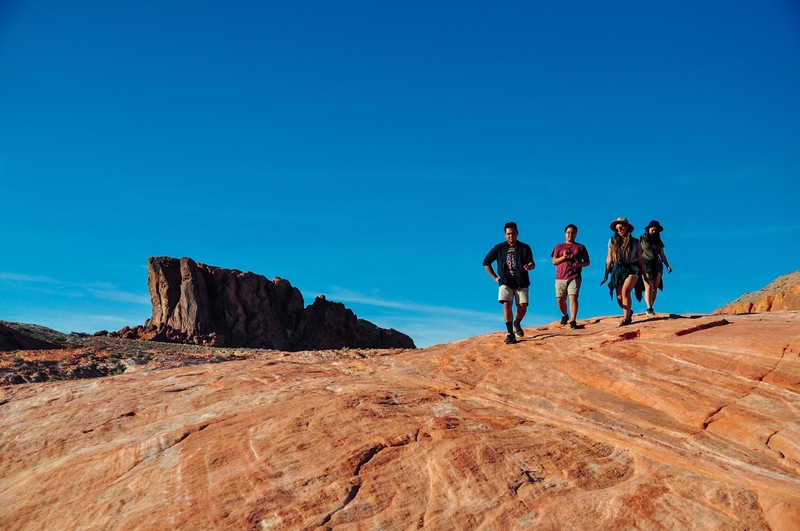 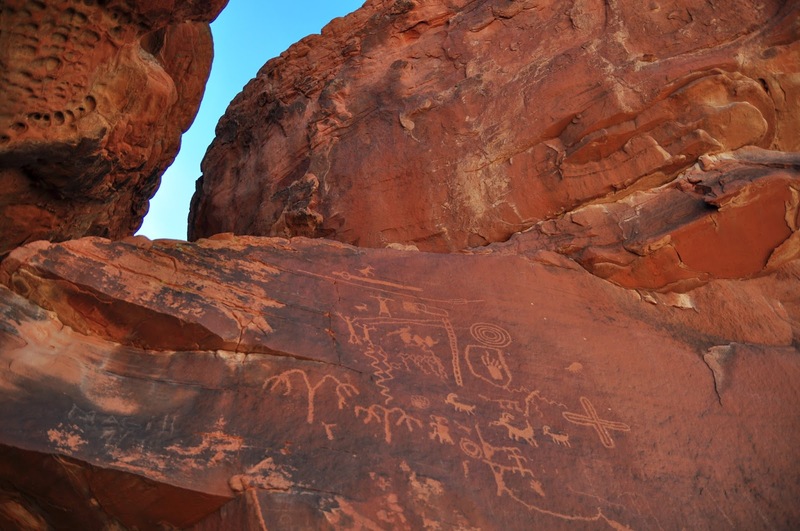 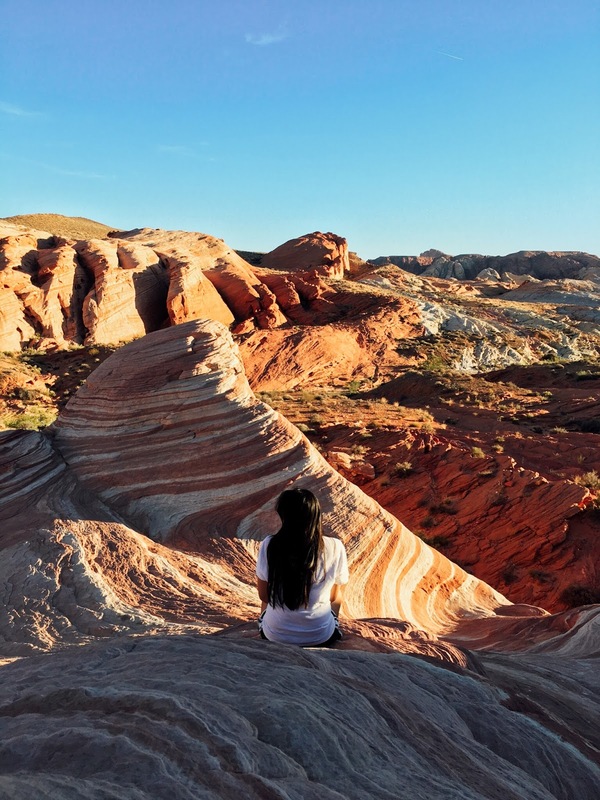 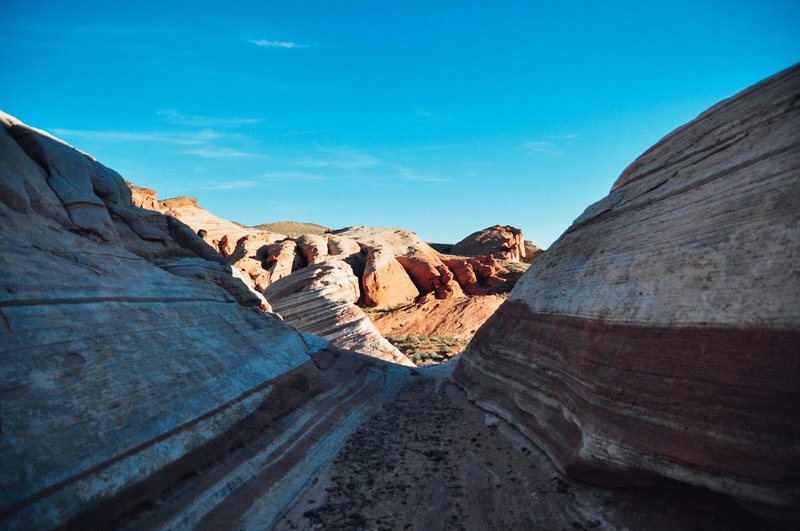 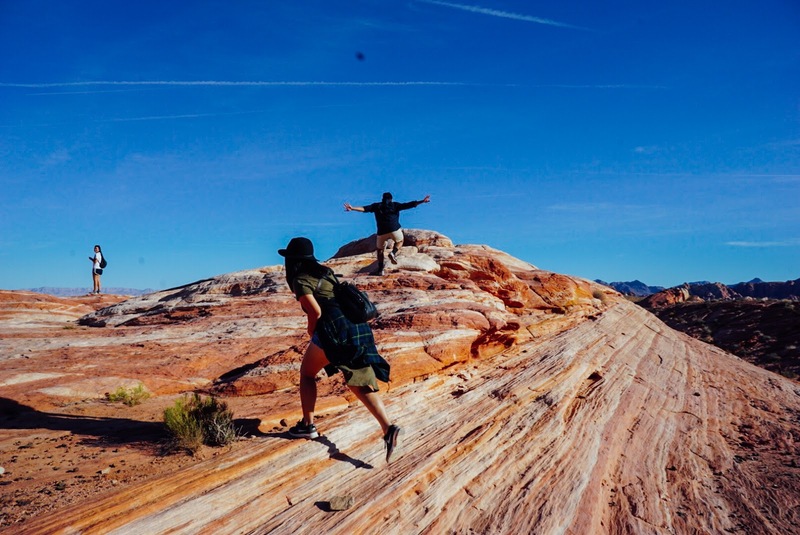 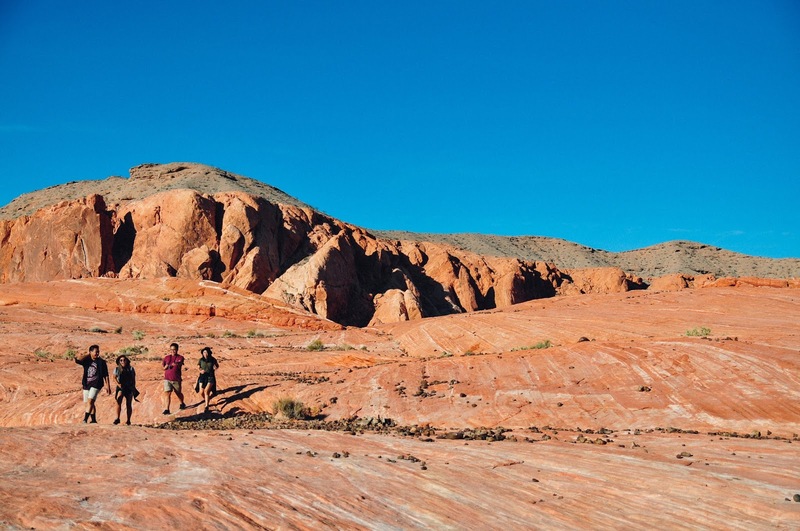 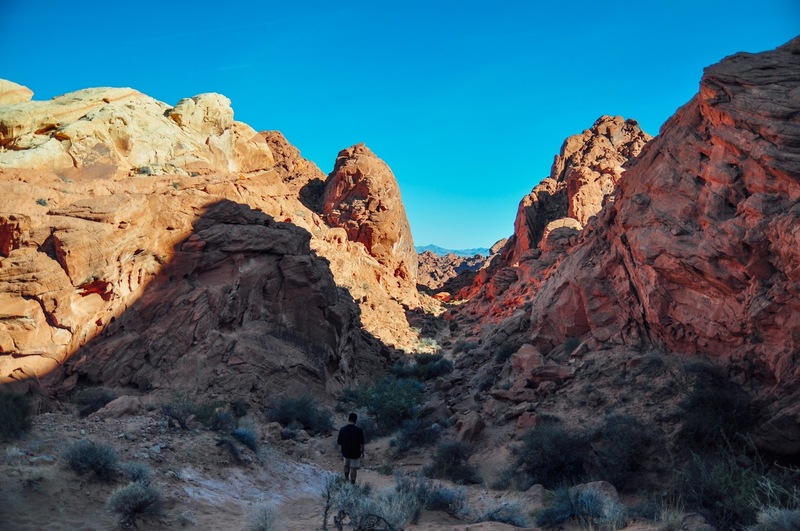 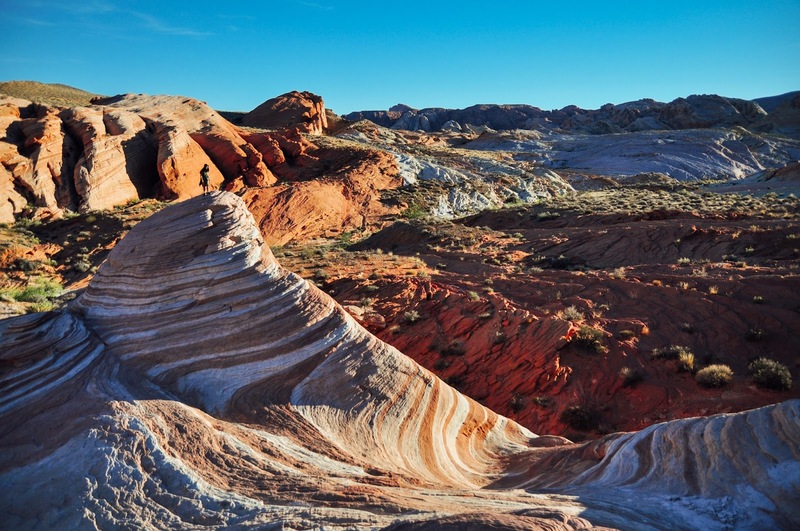 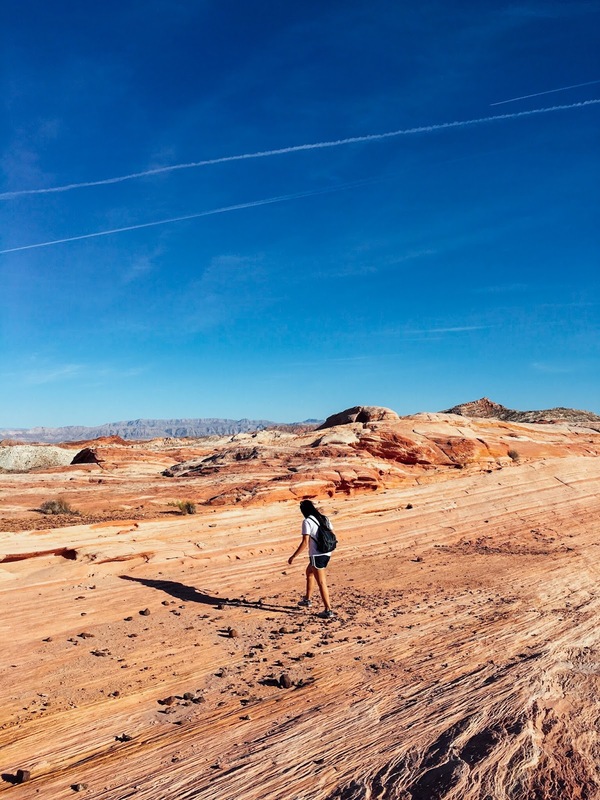 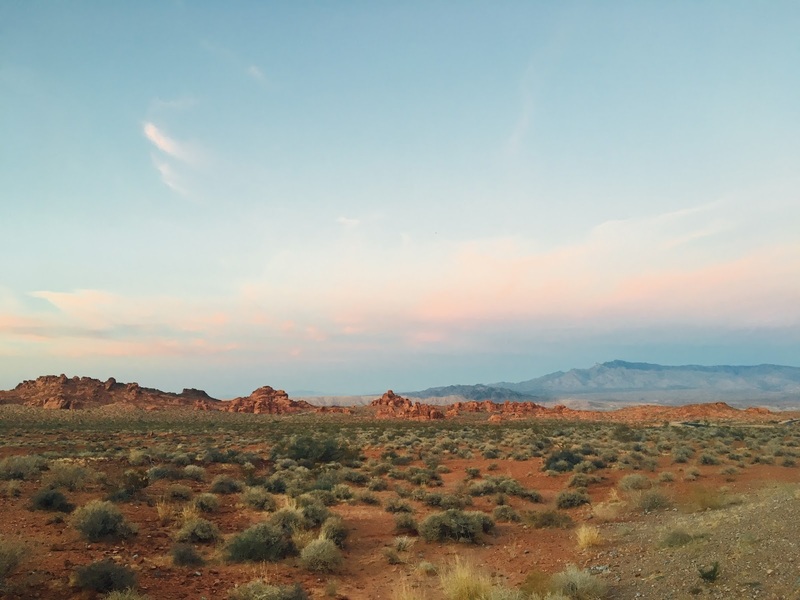 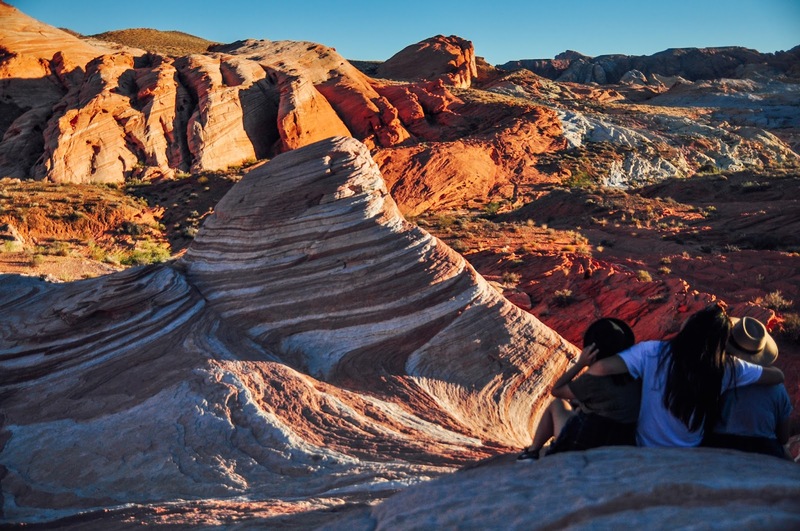 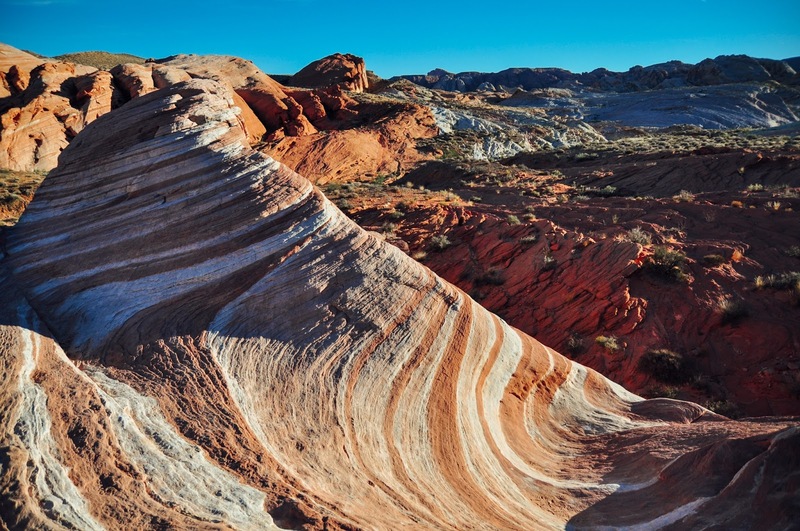 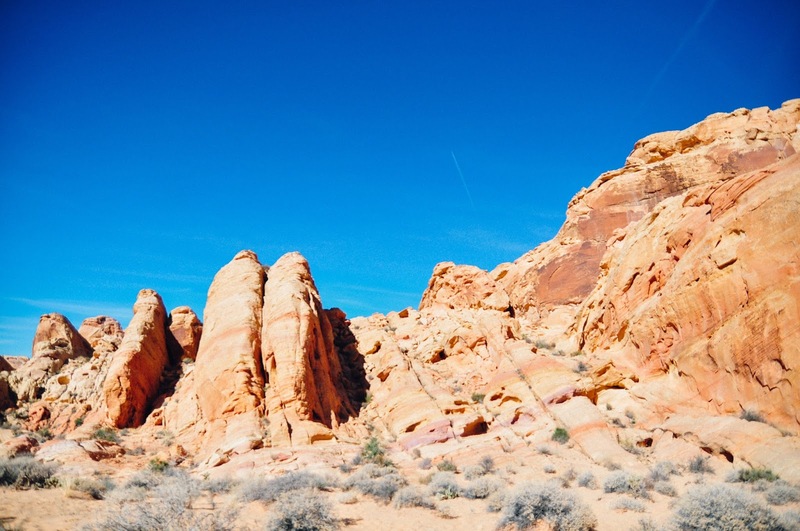 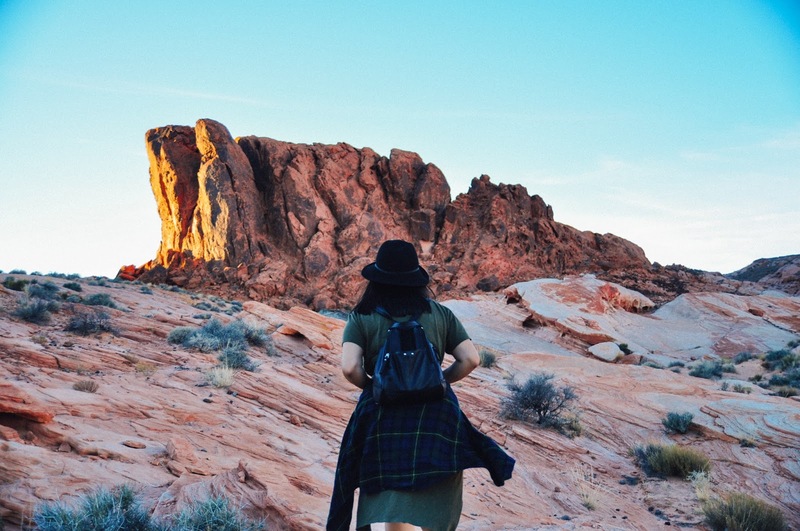 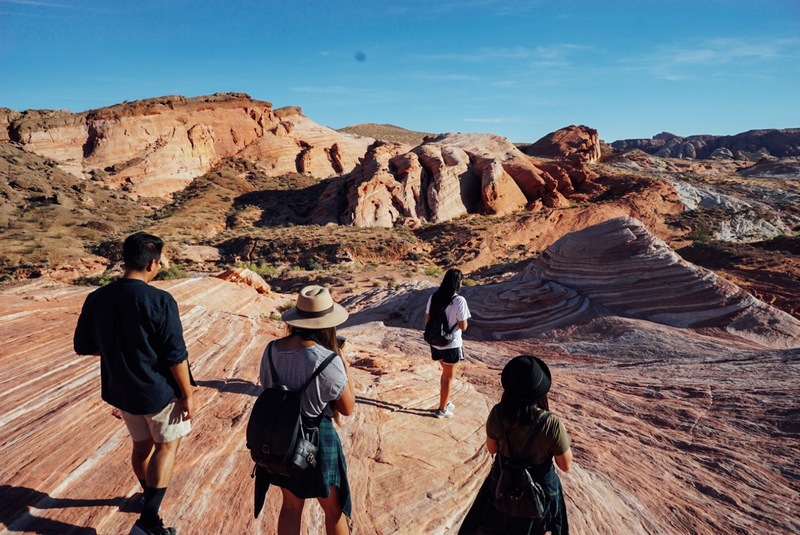 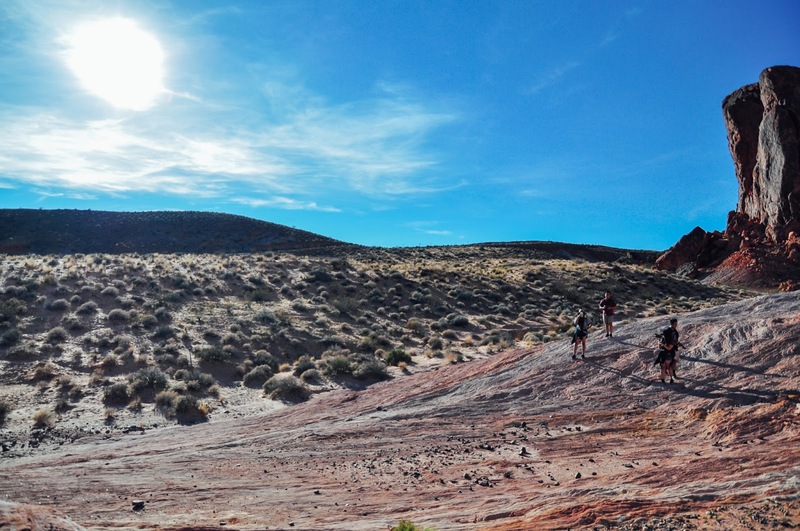 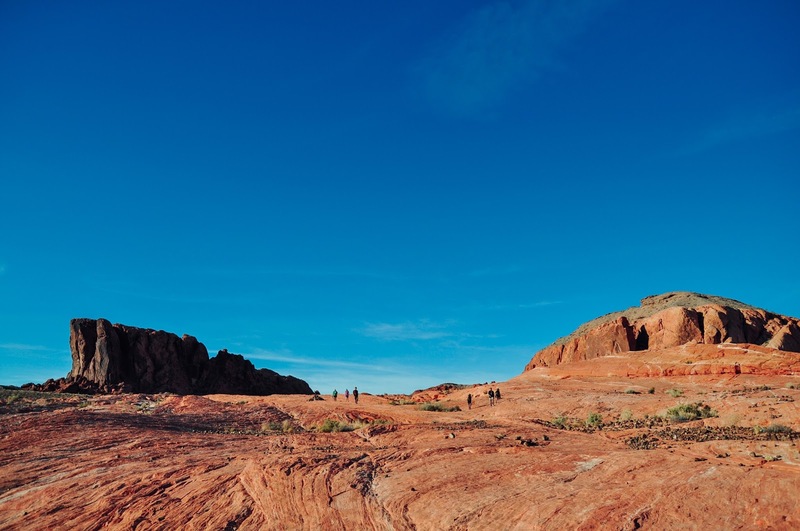 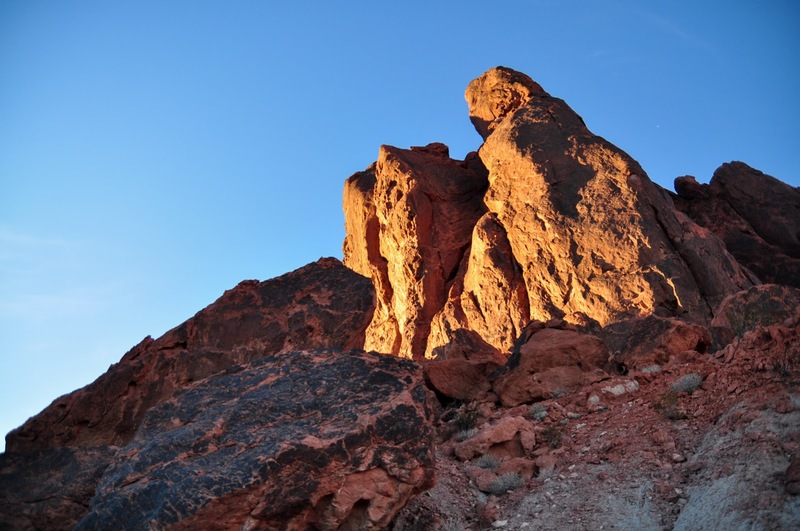 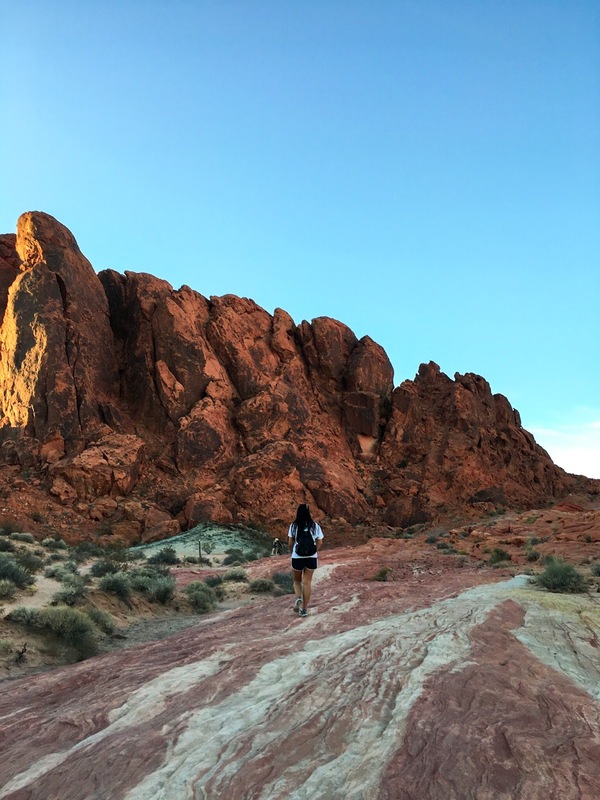 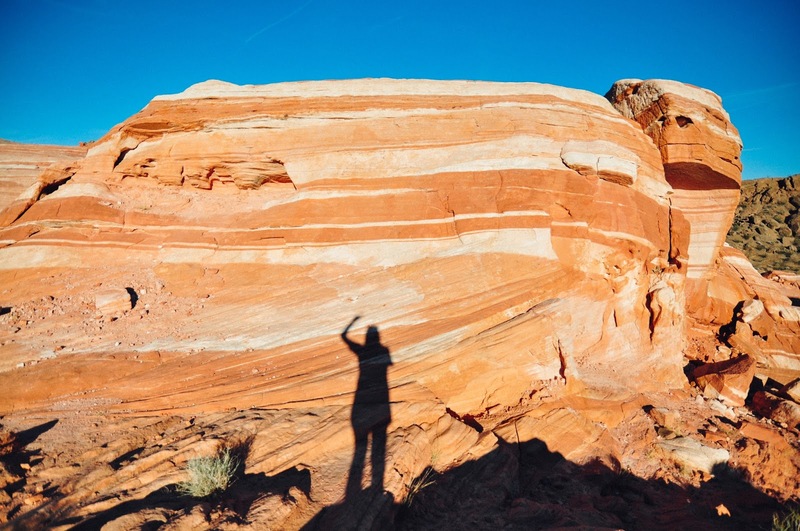 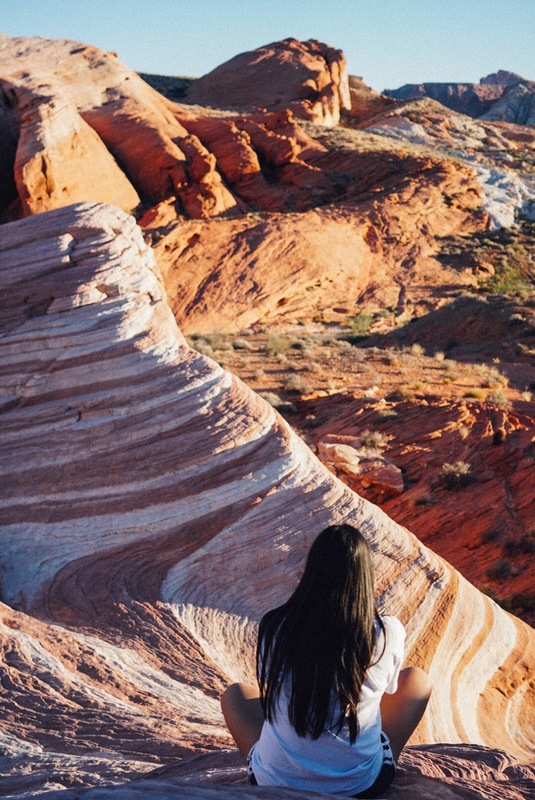 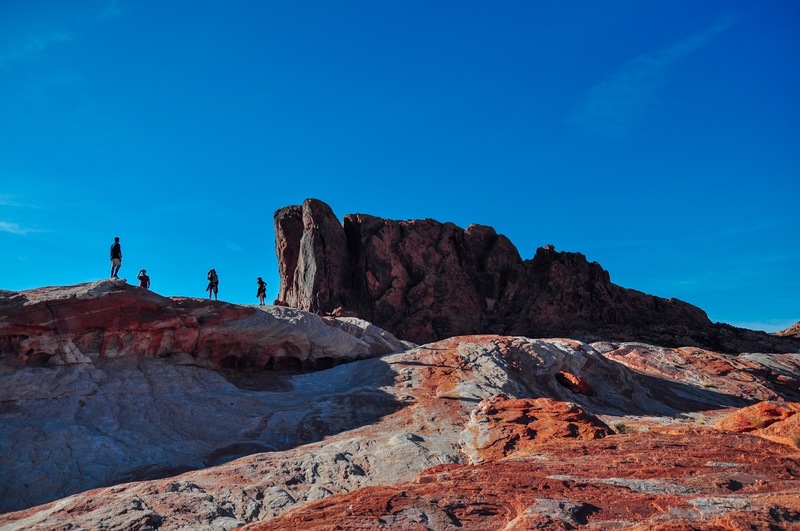 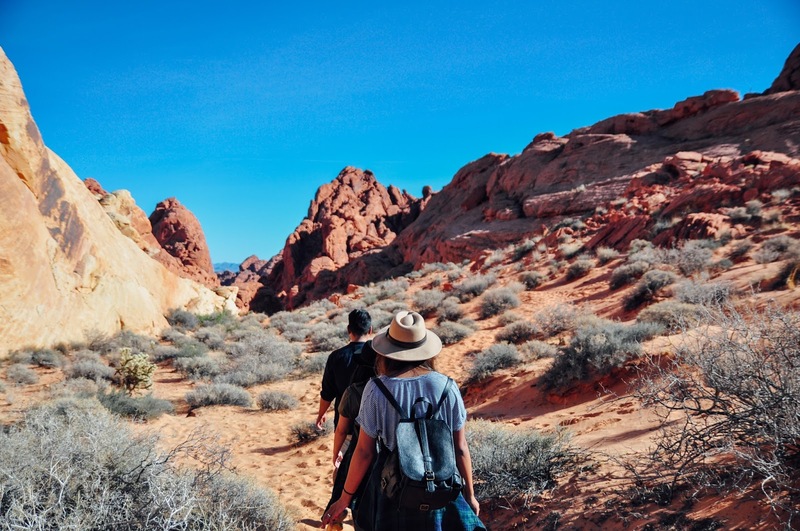 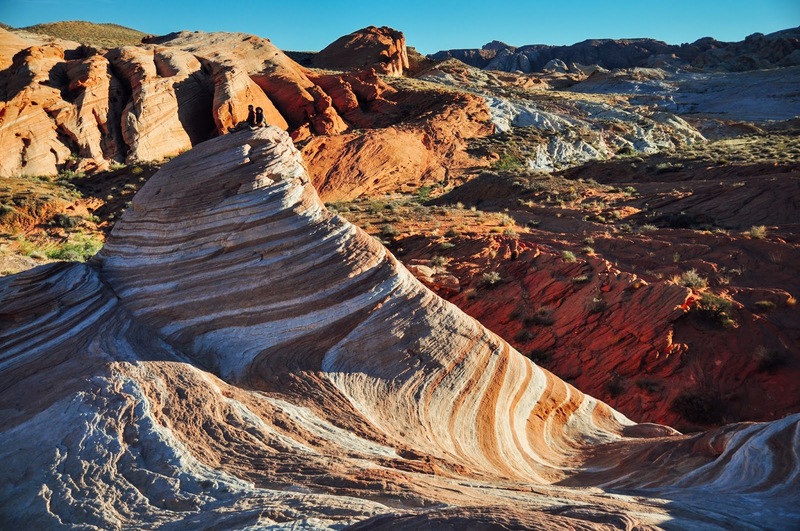 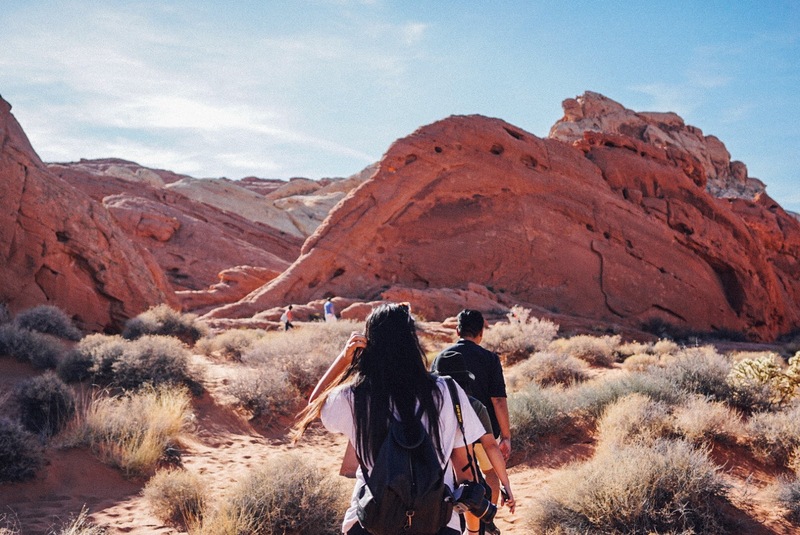 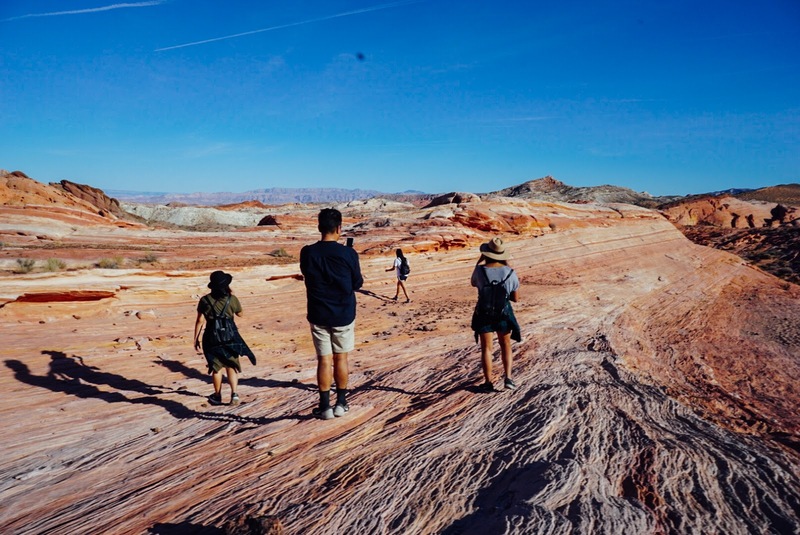 The Valley of Fire was unreal and filled with cool intensely red-hued rock formations, ancient petroglyphs, majestic bighorn sheep, and beautifully marked landscapes caused by erosion. 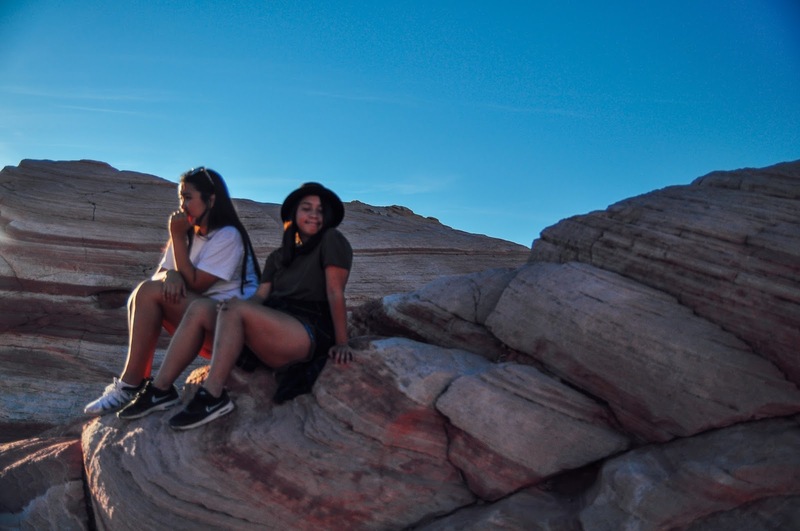 All in a span of half a day we got to see the Beehives, Arch Rock, Atlatl Rock, the visitor center, Rainbow Vista, the Fire Wave, and the Seven Sisters! 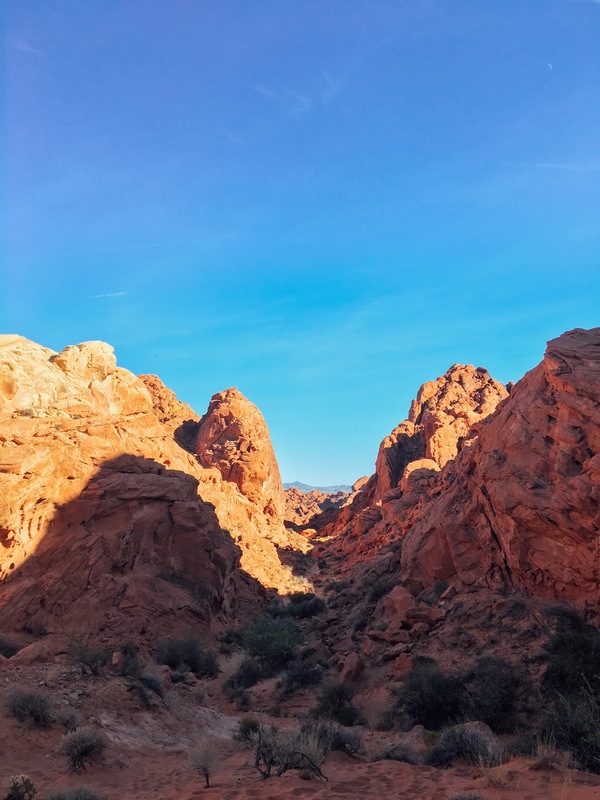 Definitely worth checking out if you're ever in Vegas as it's only an hour away from the strip.